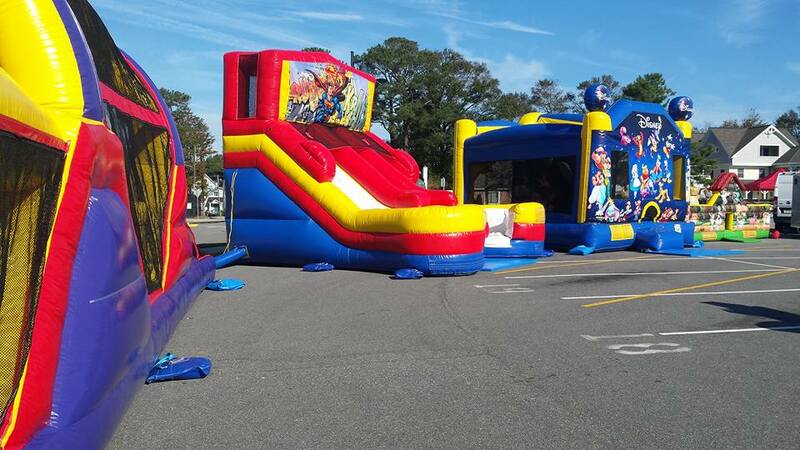 Virginia Beach Inflatables are Licensed in Virginia to supply Inflatables of all kinds for Private Parties and Public Events. We offer the largest range of Fantastic quality inflatables at the very best prices for free delivery to the Virginia Beach area. Give us a call on (757) 995 7139 or send us a message to see what we can do for your next event whether it be at home, in the yard, indoors, or in a public space. All of our inflatables have passed state inspections and are public liability insured and are securely anchored to the ground and supplied with safety matting if required for peace of mind. No power no problem as we have generators available to hire at a small extra charge. If you need supervision we have staff available to supervise your event. We have over 20 years combined experience in the inflatable industry so if you need any advice on any of our products please give us a call and we will be happy to help.